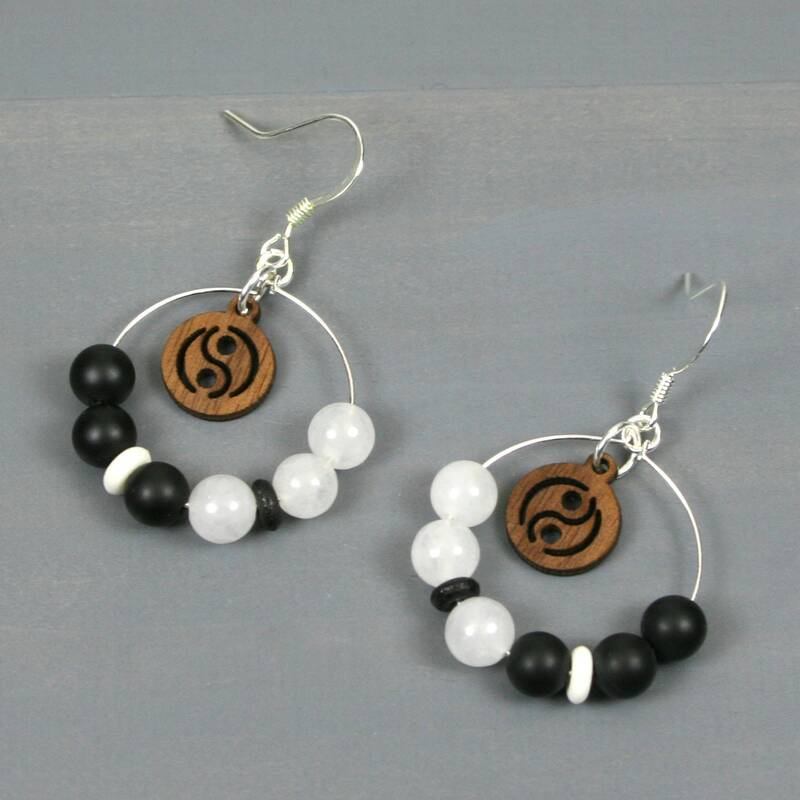 Each earring contains a wood cut out Yin Yang symbol (11 mm diameter) hanging in the center of a silver plated wire loop with matte black onyx (6 mm) beads with a white bone roundel insert on one side and snow quartz (6 mm) beads with a black bone roundel on the other to mimic the yin-yang symbolism. 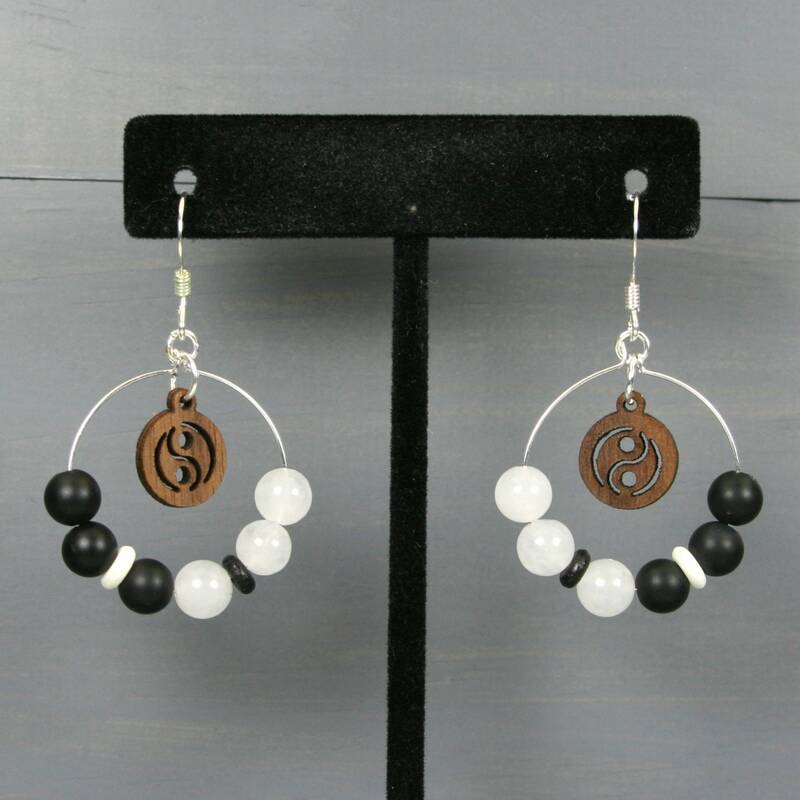 These hoops, which are approximately 27 mm in diameter (including the stones), hang from silver plated ear wires. 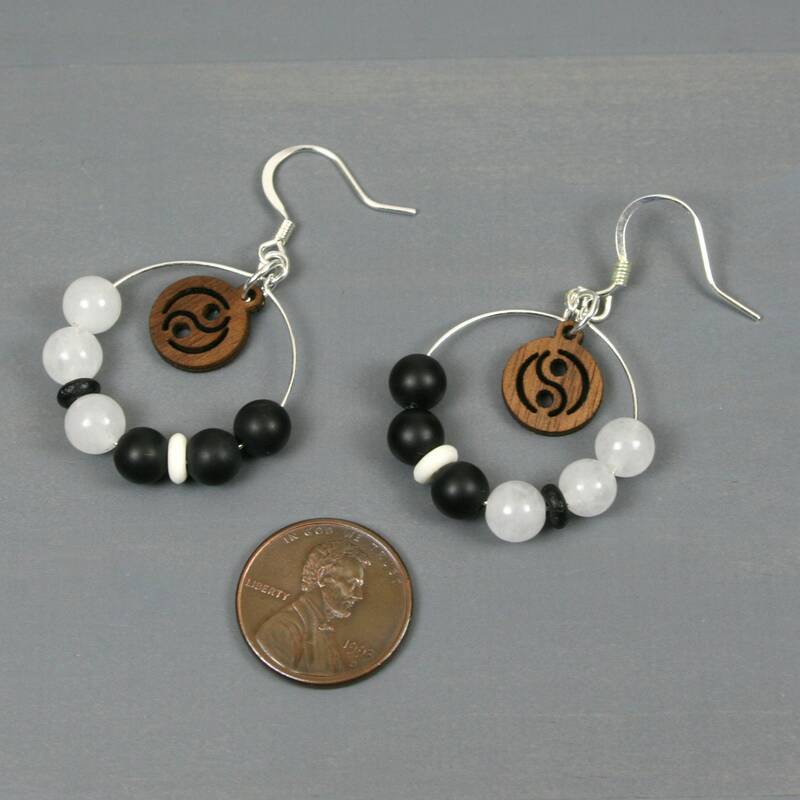 The bottom of the earrings dangle approximately 48 mm from the top of the ear wire. 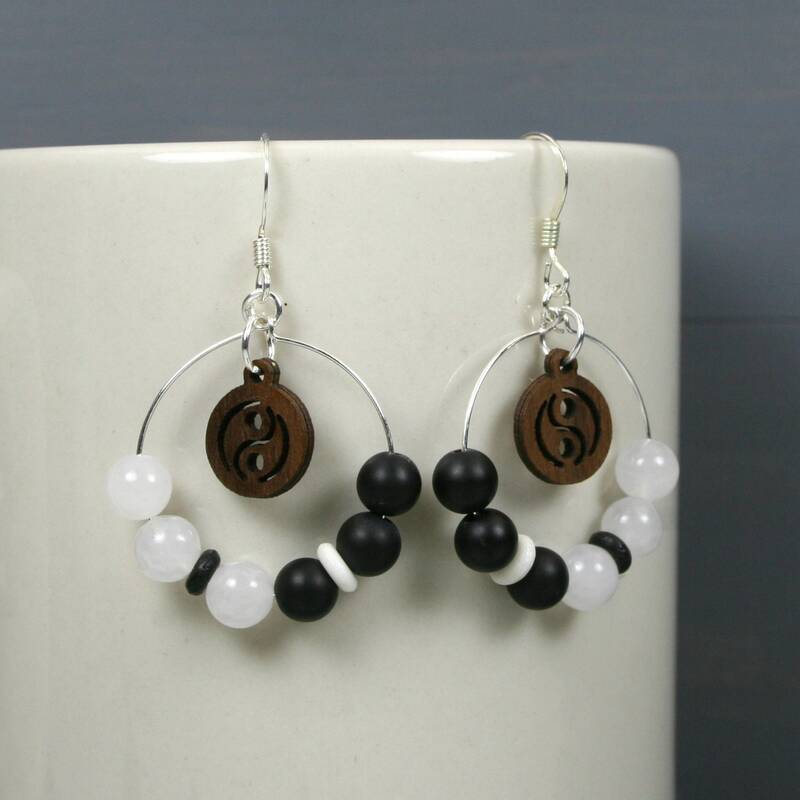 Black onyx is a natural stone with black coloring. It is known for promoting protection, encouragement, and strength. Snow quartz is a cloudy translucent to semi-translucent quartz that comes from microscopic inclusions that were encased in the crystal as it first began growing. 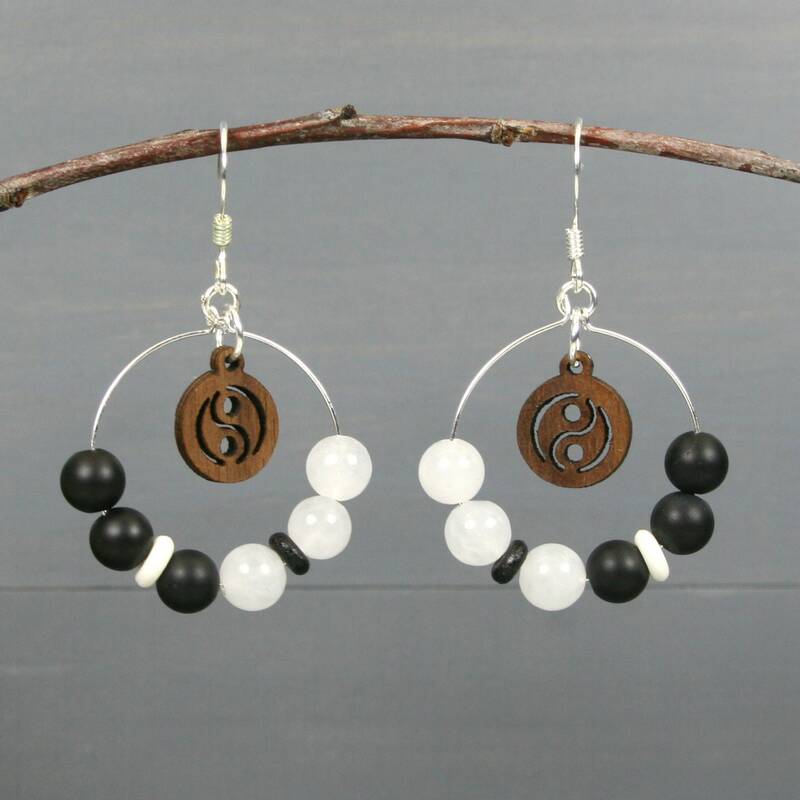 Snow quartz is known for promoting calming, mental clarity, and enhanced meditation.